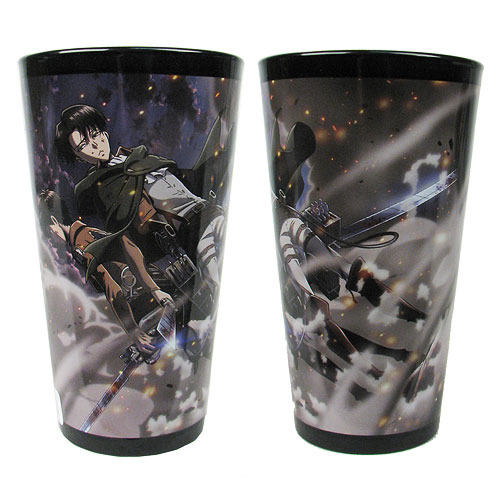 Shopping for Attack on Titan Pint Glasses? Even Levi needs to stop and have a drink once in a while! Refuel with the Attack on Titan Levi in the Wind Pint Glass, featuring one of the most prominent characters of the series. With beautiful imagery set on a black background, this glass holds approximately 16 ounces of liquid. Hand wash only. Not dishwasher safe. Do not microwave.